The storm falls on Mathomdale. In the aftermath of the terrible attacks on Jennifer and Julie, the valley, still choked with crowds of festival goers, is engulfed in a terrible hurricane and now the lives of thousands are in danger. With folk displaced all over the valley by destructive winds and catastrophic flooding, the valley must pull all its people and resources together in the face of the common peril. The elegant chambers of Mathom hall are turned into a refugee centre and its slaves must step forward in their duty to become heroes of the hour. Even as Mathomdale hunkers down under the hurricane, another storm erupts on the distant blue water of the Indian Ocean and this one the creation of people themselves. This, the sixteenth chapter in Michaela Francis’ epic saga, is a breath taking ride of danger, the heroism of people caught in extraordinary circumstance and the strength of humanity in the face of shared adversity. 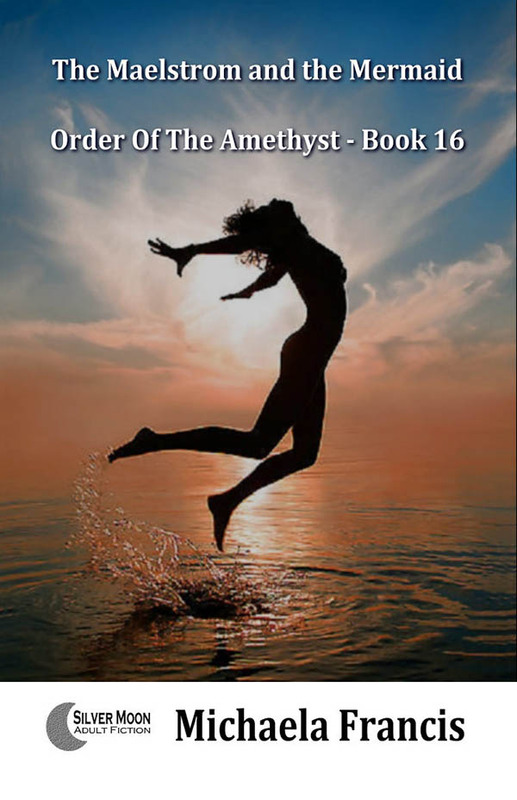 As the Order of the Amethyst series draws to a climax, the reader is in for a whirlwind of excitement and adventure. troubling questions of national sovereignty. always an ephemeral thing, away and the valley receded once more into obfuscating obscurity. to those most affected by them… the Line of the Goddess; the sub-culture to whom Mathomdale represented a spiritual and cultural importance. actual physical effects it imposed. beyond its stature in the annals of Mathom Hall. reach into the hundreds or even the thousands was due largely to the energy and inspired efforts of Daniel Foreman-Mathom. least safe; thousands of other people were yet in terrible danger. evacuation points then the whole effort would have been ridiculously easy by comparison. But of course people don’t work like that. and directing them to safety was another continuing headache and casualties were high among these randomly wandering people. only five were directly confirmed to have drowned in the floods. It could have been much, much worse. had to be moved and sheltered also. down in spare bedrooms, living rooms or even kitchens and bathrooms. a wry joke in Mathomdale to refer to such unions as “marriages made in heaven”, the heavens having opened up in fury over the valley. Up until literally the very minute that the storm unleashed itself on the valley, such communal singularity was not universal, however. to regard the appalling spectacle. temporary medical centres were inundated with casualties. gardens, and the income generated by that amount of sales was a comfort in the aftermath of the prodigious damage of the storm. the slightest economic sense in doing so. had largely been responsible for the damage in order to obtain restoration money from the storm relief funds are almost certainly spurious. vicar would amuse the village for several years and would become contentious enough to warrant ringing denunciations from the pulpit. zones. The devastation was almost total. Three people died foolishly trying to rescue their caravan. plantations of Sitka spruces planted for timber at the top end of the valley were ravaged by the storm with the loss of hundreds of trees. for the valley for a far more ecologically sensible system of forestry management would result with their demise. stood steadfast; a rock of adamant; the foundation of the valley and barely flinched at all. that soaking downpour at bay for it insinuated itself into every crevice to pour inside your protective clothes in a misery of cold wetness. remnants of the people still in danger were dashing as best they could through the storm to shelter and they were running for their lives. And still the rain came down. It seemed incredible, to anybody who witnessed it, that any rainfall could remain so heavy for so long. then, when it seemed that things could not possibly get any worse, the lights went out. Michaela is a UK author based in Yorkshire. Born in the city of York, Michaela spent many years travelling throughout Europe during a career as an entertainer before returning to the UK to study for a Masters degree in history. 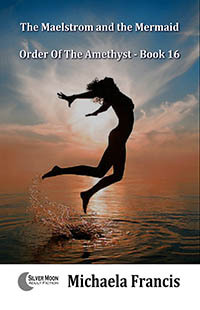 The author of several novels and many short stories, as well as several works of non-fiction, Michaela's style mixes romance, fantasy and eroticism in a rich blend of well researched authenticity and descriptive imagination. Widely travelled, multi-lingual and multi-cultural, Michaela draws upon her own experiences and adventures to enhance the diversity of her writing while adhering to Tolkein's mantra "the inner consistency of reality" to bring realism and credibility to the imaginary worlds she creates.